Hey Toronto inhabitants! Got any plans for this coming weekend? 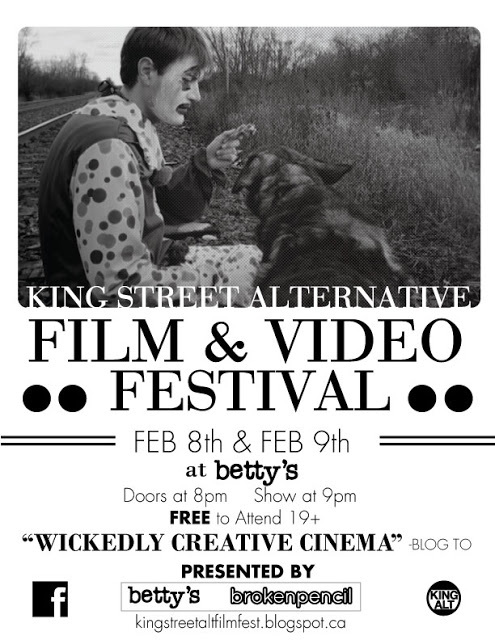 If not you should come join me at the King Street Alternative Film Festival on February 8th! Along with many other interesting films my short video, Steps Apart, will be playing as part of the Friday night lineup. What’s even better is the festival is entirely FREE! Doors open at 8pm and screenings start at 9pm at betty’s (240 King St E). Betty’s is a small venue so if you care to join us I suggest arriving early to guarantee getting in. For more info about the full lineup check out the festival’s website.